The ENET E714F is a cheap chinese tablet , a clone of the Q8 tablet. supported under mainline u-boot and mainline kernel. Use the "q8_a23_tablet_800x480_defconfig" build target. Use the "sun8i-a23-q8-tablet.dtb" device-tree binary. The Volume+ button triggers FEL mode. 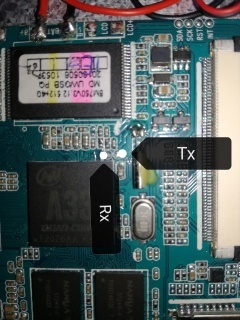 Although the Soc is labeled A33 Quad Core, and The android say QuadCore-A33 , this is actually An A23 Soc ! 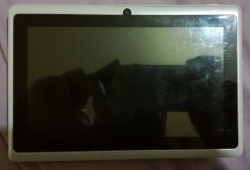 Other Q8 format A33 based tablets. This page was last modified on 10 July 2017, at 14:52.